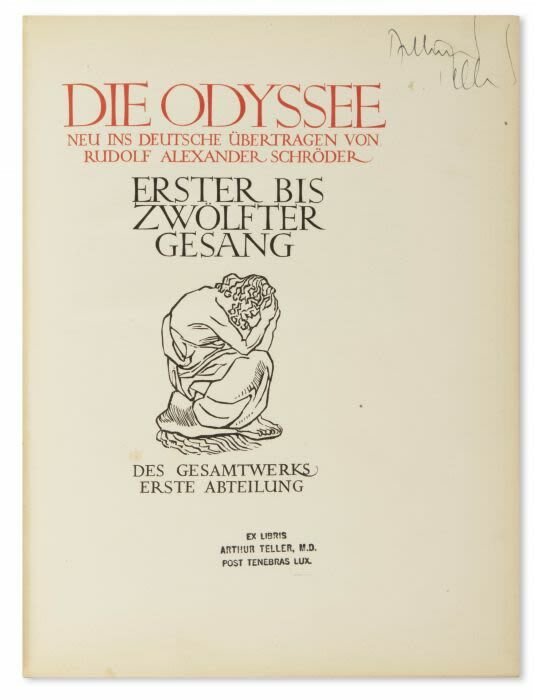 Die Odyssee. Neu ins Deutsche übertragen von Rudolf Alexander Schröder. Two volumes. One of 425 numbered copies. Titles by Eric Gill. Woodcut by Aristide Maillol. Printed in red and black. Previous owners marks. Original vellum-backed patterned boards designed by Fortuny, spines gilt. 4to.